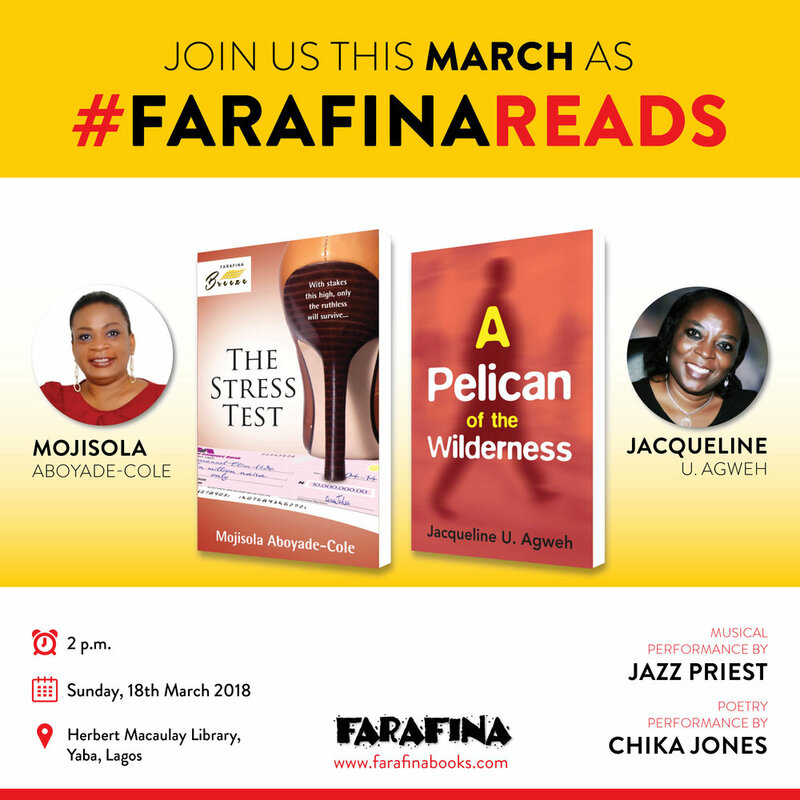 This March, Farafina invites you to #FarafinaReads with authors, Jacqueline Agwu and Mojisola Aboyade-Cole. The authors will be reading from their novels, A Pelican In The Wilderness and The Stress Test. The event will also include discussions, book signings and entertaining performances by Chika Jones and others. When: March 18, 2018 at 2 pm. Moderated by Enajite Efemuaye and supported by GTBank YouRead. A Pelican Of The Wilderness is available on Okadabooks here. Order a copy of The Stress Test here. Read excerpts from both novels on the Farafina blog here.